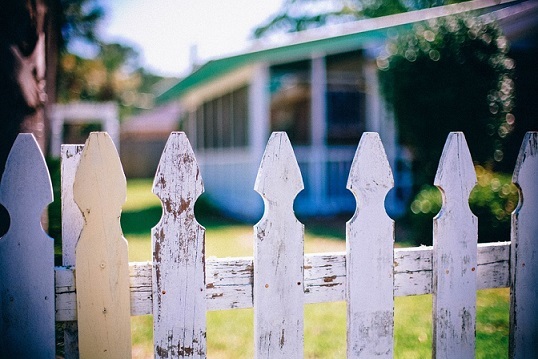 Home > Property Rental News > Property Rental Guide > How to tackle with your neighbors wisely? Every time when you check into your new rented apartment or flat, the first thing you curiously want to assess is the type of people you’re gonna be surrounded by so that you can tackle with them accordingly. As a good cooperative neighbor, you may expect from your fellow neighbors a certain level of respect, but you cannot be selective in this context. Characteristically, you’re going to be goaded with the creepy songs from 1980, your neighbor is playing while cleaning and doing that routinely heavy workout or while walking around, but moving to them with a request to try out the alternate song, that’s less irritating will work and will give you a valid reason to initiate a chat. The best way to make a good impression among your neighbors, so that they could let you live with a little peace, is to prove yourself that you’re not a snob. Yeah, yeah, we know problems will always be there, but after this deed, they will be a bit smooth- of course, no one wants to be convivial to someone who is inhospitable to them. So when you move in or go out to locate the flats to rent and to deposit the token amount of your rent, ensure you knock your neighbors’ door and introduce yourself to them. Keep a casual approach and ask them about their job hours and tell yours too. A simple encounter can make a lot of differences for future communication. Being personal is good but make sure that you don’t sound cynical. If you’re delivering a note, consider writing something like: “I am such a light sleeper and could wake up if a pin fell on the ground! It’s awful!” Being light-hearted and acting like they aren’t doing anything wrong may make them think twice before blasting music or trotting around the apartment late at night. Delivering a complaint note to your neighbor without getting them know won’t work anymore, instead, it will block the ways for future communication. So, if someone’s playing loud music in the night and you’re unable to sleep, just go them and say that you’re a light sleeper and even a pin dropping sound can wake you up. Being light hearted and requesting them with a soft approach will make those noisy neighbors think twice before playing it again. If your neighbors are smoking in their place and it’s making tough for non-smokers in entire building, tell them that you are on your way to quite the smoke as well as, the smoke is reeking the entire building. Or you can also blame to the building by saying that the apartment walls are so think and your rasping front door barely gets bunged. If your neighbor is listening loud music or ringing out the television until the wee-hours in the morning, talk to other neighbors who’re also despondent with their creepy TV. And then raise a complaint with unity. This will work for sure. Writing a note to the neighbor without prior formal intimation will include in the list of arrogant people so have some conversation before that. If you have problem with your neighbors let them know and try to turn the table so that they could realize the problem you are going through because of them. With these tips, you’ll be able to develop healthy relationship with your neighbor and will be living a peaceful life.